Suburban features a wide range of advanced safety features to prevent potential collisions, as well as available technology to respond and protect you and your passengers in the event of one. Meanwhile, the class-exclusive available Theft Protection Package can help keep your belongings secure inside your vehicle. Suburban comes equipped with safety features and driver assist technologies that help protect drivers and their passengers all around the vehicle. 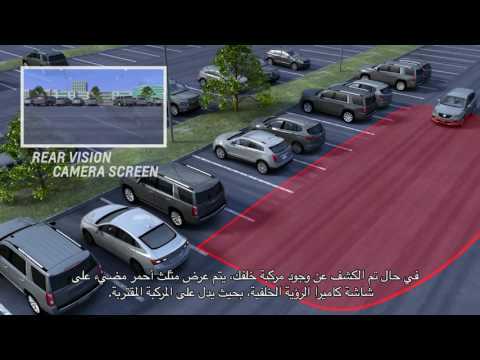 Front and Rear Park Assist senses and warns of objects both in the front and rear of your car. 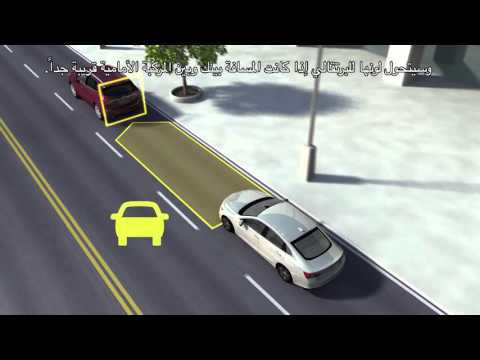 The feature uses multiple front and rear sensors in the bumper, which detect objects below the speed of 5km. Rear cross traffic alert warns you if a vehicle is approaching your rear when you are backing up. 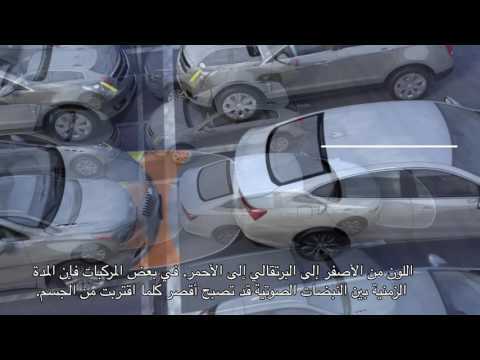 These hidden sensors identify cross traffic when you’re in reverse. Simplify your life with Chevrolet MyLinkTM, which helps keep your family connected and entertained while you’re on the road. The Suburban comes fully equipped with multiple charging points around the cabin for all your electronic devices, as well as USB and composite connector ports for watching your favorite content. Connect to your mobile device and its functions with your hands safely on the wheel. Control your music, browse contacts and send messages without lifting a finger. Enjoy music that sounds more immersive. Chevrolet MyLinkTM sounds fuller, thanks to the available 10-speaker BOSE® Centerpoint® Surround Sound System. Suburban features a powerful 5.3L V8 engine that offers a perfect combination of performance and fuel economy, delivering efficiency without compromising power and towing capability. A lighter-weight suspension helps improve fuel economy while still being stiff enough to maintain the excellent ride Suburban is known for. Along with a superior ride, Suburban offers a maximum towing capability of up to 3,765kgs – plenty of power to tow boats, ATVs and whatever else you want to bring along. Suburban was designed to make an impression. A sculpted and athletic exterior gives this large SUV a commanding presence, while the interior offers sophisticated style and comfort without sacrificing versatility. Suburban uses meticulously sculpted lines and design to give the rear a look that really moves the category forwards. The combination of stylish tailamps and imposing rear spoiler make the Suburban one worth following. If it could, the Suburban would greet you with a resolute handshake. It holds a firm gaze with its projector-beam headlamps and rear LED tailamps. Don’t let its height intimidate you. The Suburban features available power-retractable side assist steps with perimeter lighting to help passengers get in and out with ease. Premium in every sense, Suburban ensures comfort with Premier models featuring standard cooled, perforated leather front bucket seats. Acoustic laminated windshields and inlaid doors come with triple seals, reducing external noises, making each and every journey truly relaxing. Available power-release second-row and power fold-flat third-row seats – the fastest of any competitor – give Suburban a versatile interior that’s ready for anything. To help you outside the vehicle when your hands are full, an available sensor under the rear bumper lets you open the liftgate with a gentle kicking motion. Inside, Suburban features a center console large enough to fit a laptop computer as well as door storage with room for water bottles, umbrellas and other small items. Head out across the city with bold accessories like available 22-inch 6-spoke high-gloss black wheels and a chrome mesh grille, or get ready for a trip to the great outdoors with an available roof-mounted kayak carrier, hitch-mounted bicycle carrier and easy towing solutions.